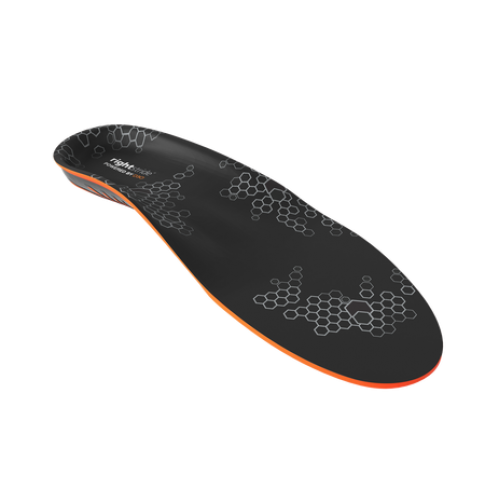 The D3O Performance Insole is a totally unique combination of D3O and a semi rigid polypropylene shell. 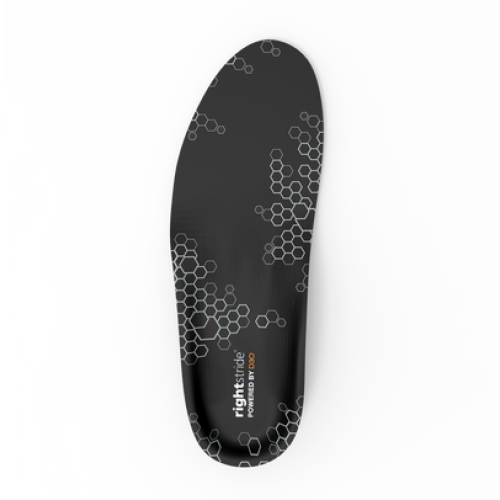 This device builds on years of orthotic design knowledge from rightstride and the cutting edge material properties of D3O. 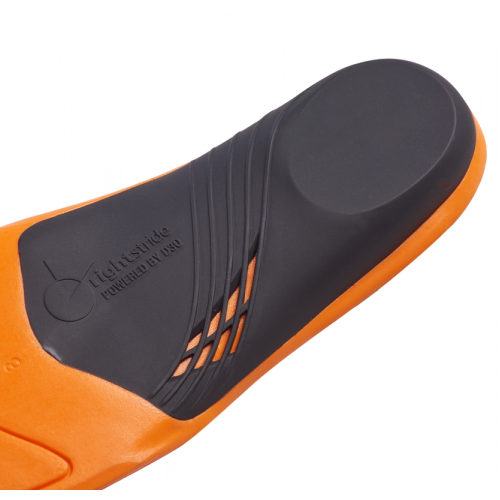 The orthotic provides a strong stable rear-foot control, in built impact protection heel pad and a unique mid-foot impact control system designed to provide dynamic pronation control. 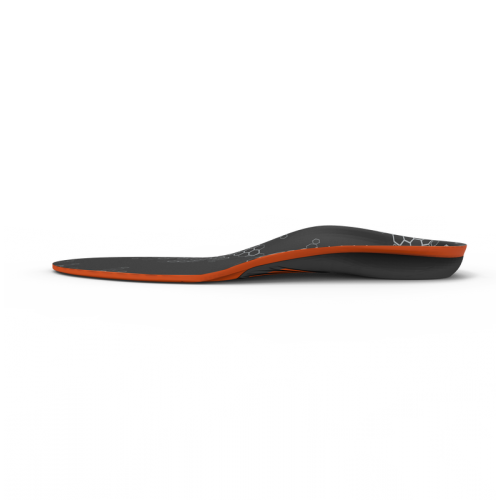 The unique shape of the mid-foot provides increased stability and velocity control, as well as preventing the over use of the anterior muscle group.